Hi everyone! Our next program to create is on how to shutdown, restart and logoff our computer in Visual Basic 6. Before we start our tutorial let me remind you that you should save all your work to make sure you don’t loss your files. Let us proceed now to the step by step procedure of creating the program. 1. Create a new project in your vb6 program and select Standard EXE. 2. By default there is only one Form (Form1). Rename the Form1 into ShutdownFrm. 3. We are going to design the form, open ShutdownFrm. We need four command buttons, rename the first button into cmdShutdown with the caption Shutdown, next button into cmdRestart with caption Restart, rename the next button into cmdLogoff with the caption Logoff and the last one into cmdAbort with the caption Abort. Save the visual basic project and the form as well in the same folder. The following are the list of Visual Basic 6 downloadable source codes. 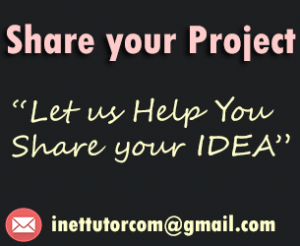 Inettutor.com will be posting a step by step tutorial on the following source codes.